Maybe those 19th century doctors were on to something when they used electroshock therapy as treatment for a myriad of medical problems. New findings that were recently reported to the Society for Neuroscience indicate that transcranial direct current stimulation (TDCS) can increase the rate at which people learn. Tests were conducted on Air Force pilots and researchers discovered that delivering a mild electrical current (two milliamperes of direct current) to a pilot’s brain for thirty minutes during training cut training time in half. The current is delivered via EEG electrodes attached to the scalp. Just in case TDCS makes you think of the electroshock therapy that was mentioned earlier, the consequences of using TDCS aren’t as extreme, with one test subject saying, “It feels like a mild tickling or slight burning.” Personally, mild burning is too high a price for reduced learning times so I don’t see myself volunteering for these studies any time soon. The big question being asked, according to Scientific American, is how does electrical stimulation enhance learning, and some possibilities are already being considered. Magnetoencephalography (MEG) was used to study brain waves to look for any functional changes in the brain, while MRI scans were used to locate any physical changes. Both tests revealed interesting results. The MEG shows that test subjects showed a six-time baseline boost to the amplitude of a brain wave when they received electric stimulation to a sensory nerve in the arm, and the effects lasted up to 50 minutes past the time when the stimulation was received. MRI scans revealed clear structural changes as soon as five days after the application of TDCS, with neuron bundles in the cerebral cortex, known as white matter tracts, being more robust and more highly organized after treatment. The side of the brain that didn’t receive electric stimulation shows no changes. With changes recorded in both the physical and functional areas, the next step is to look for changes on a cellular level. To achieve those results, brain tissue will be taken from participants in TDCS studies that undergo necessary brain surgery so that tissue can be removed as a required part of their treatment. 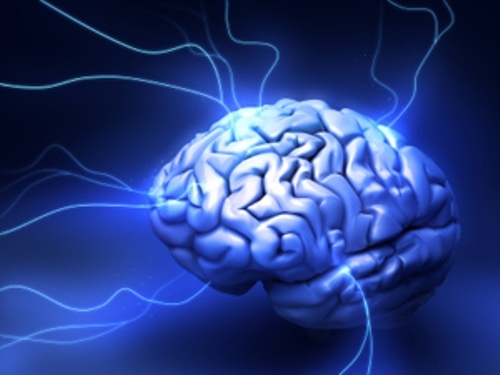 It’s been known for some time that electrical impulses are firing off all the time in the brain. Is enhanced learning just a simple matter of increasing the current to increase performance or is there more to it that is still yet to be discovered? 2 Comments on "Shock the Brain for Faster Learning"
The report says that MRI scans revealed structural changes in the brain after TDCS, which is shock treatment. After all our body tissues works in pure electro-chemistry whether it is neurons, or cardiac muscle, or ion gate channels of our cells in passing Potassium and Sodium atoms to keep the Sodium-Potassium pump working, or even in agonists like photons on cone and rod cells of eye, acting on GPCR – G-Protein coupled Receptor Cells (The Latest Nobel Laurette 2012 subject in Chemistry), it is only that Electro chemistry working through G- proteins inside the cells conducting photo electric current to the optic nerve by activation of ATP to lose electron to become ADP. Thank You. Facinating article, perhaps this is the basic beginning to what will ultimately be electrical information “downloading” to the brain. Imagine one day when scientists figure out the EEG differences between a person with specific knowledge on say physics. They then program a device similar to the IDCS and hook it up to a person with no knowledge of physics. Turn on the device and allow the machine to imprint the specific EEG waves and you now have a person who five minutes ago knew nothing of physics but now has the same level of understanding as the donor EEG participant.